Momentum Detailing is a mobile business fully equipped to thoroughly detail vehicles at your location. We bring everything necessary and are not affected by water restrictions! ​Our carefully selected high end product line helps us achieve great results and is always safe for your family. The end result of our hard work is a vehicle that has been professionally cleaned, conditioned, and protected from the elements. Hi, I'm George and like most of you, I love cars. My obsession with detailing has led me to acquire some of the most effective products and equipment available. Our goal is offer reliable, high quality detailing work for like minded enthusiasts in the Austin area. If you have any questions or would like to schedule an appointment, please fill out the contact form below and I will respond as soon as possible. Thanks for taking a look! 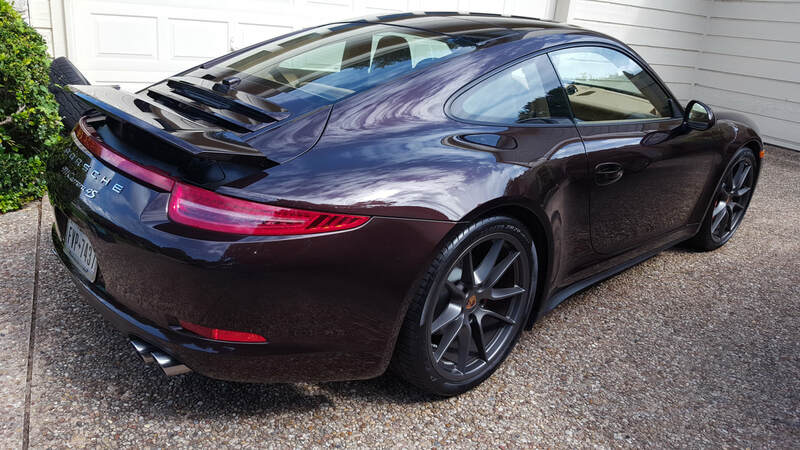 Three words that I would use to describe the services offered by George at Momentum Detailing... professional, prompt and fantastic...The time spent to recondition our vehicle was money well spent. Not only does George use quality products, but his attention to detail inside and out of the vehicle surpasses any detailer we've used in the past. We will certainly use his services again.